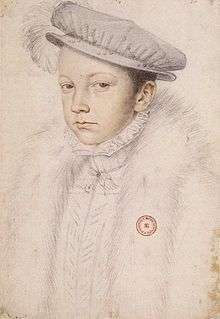 Francis II (French: François II) (19 January 1544 – 5 December 1560) was a monarch of the House of Valois-Angoulême who was King of France from 1559 to 1560. He was also King consort of Scotland as a result of his willing marriage to Mary, Queen of Scots, from 1558 until his death in 1560. Born eleven years after his parents' wedding, Francis was named for his grandfather, King Francis I. The long delay in producing an heir may have been a reason for his mother's repudiation by his father in favor of his mistress Diane de Poitiers. ((citation needed))Francis was at first raised at the Château de Saint-Germain-en-Laye. He was baptized on 10 February 1544 at the Chapelle des Trinitaires in Fontainebleau. His godparents were Francis I (who knighted him during the ceremony), Pope Paul III, and his great-aunt Marguerite de Navarre. He became governor of Languedoc in 1546, and Dauphin of France in 1547, when his grandfather Francis I died. Francis's governor was Jean d'Humières and his tutor was Pierre Danès, a Greek scholar originally from Naples. He learned dancing from Virgilio Bracesco and fencing from Hector of Mantua. King Henry II, his father, arranged a remarkable betrothal for his son to Mary, Queen of Scots, in the Châtillon agreement of 27 January 1548, when Francis was only four years old. Mary had been crowned Queen of Scots in Stirling Castle on 9 September 1543 at the age of nine months following the death of her father James V. Besides being the queen of Scotland, Mary was a granddaughter of Claude, Duke of Guise, a very influential figure at the court of France. Once the marriage agreement was formally ratified, the six-year-old Mary was sent to France to be raised at court until the marriage. Although Mary was tall for her age and eloquent, while her betrothed Francis was abnormally short and stuttered, Henry II commented that "from the very first day they met, my son and she got on as well together as if they had known each other for a long time". On 24 April 1558, the fourteen-year-old Dauphin married the Queen of Scots in Notre Dame Cathedral in Paris. 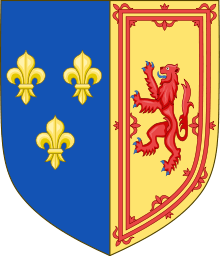 It was a union that could have given the future kings of France the throne of Scotland and also a claim to the throne of England through Mary's great grandfather, King Henry VII of England. Until his death, Francis held the title King of Scotland. Mary and Francis were to have no children during their short marriage, however, possibly due to Francis' illnesses or his undescended testicles. According to French law, Francis at the age of fifteen was an adult who in theory did not need a regent. But since he was young, inexperienced, and in fragile health, he delegated his power to his wife's uncles from the noble House of Guise: François, Duke of Guise, and Charles, Cardinal of Lorraine. His mother, Catherine de' Medici, agreed to this delegation. On the first day of his reign, Francis II instructed his four ministers to take orders from his mother, but since she was still in mourning for the loss of her husband, she directed them to the House of Guise. The two eldest brothers of the House of Guise had already had major roles in the reign of Henry II. 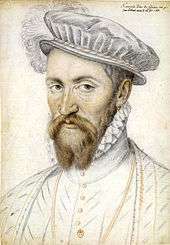 Francis, Duke of Guise, was one of the most famous military commanders in the royal army and the Cardinal of Lorraine had participated in the most important negotiations and matters of the kingdom. After the young king ascended the throne, the two brothers split the custody of the kingdom: Francis became head of the army and Charles the head of finance, justice, and diplomacy. The rise of the House of Guise worked to the detriment of its old rival, Anne de Montmorency, Constable of France. At the new king's suggestion, he left the court for his estates to get some rest. Diane de Poitiers, mistress of the previous king, was also asked not to appear at court. Her protégé Jean Bertrand had to surrender his title Keeper of the Seals of France to chancellor François Olivier, whom Diane had removed from this position a few years earlier. It was a palace revolution. The transition has been described as brutal, but while it no doubt caused the Constable considerable frustration, there were no confrontations or reprisals. 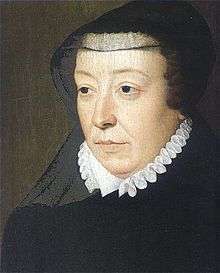 Anne de Montmorency remained tied to power. As soon as the day after the death of the king, he was present at the council meeting and was also at the coronation. Later he supported the repression of the conjuration of Amboise, notably by going to the Parlement of Paris to communicate to its members the measures taken by the king. In July 1560 he came back to court and to the council, although in a much less flamboyant manner than before. The Guises were now the new masters of the court. 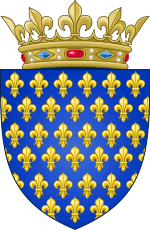 The king granted them numerous favors and privileges, one of the most significant being the title of Grand Master of France, a title until then held by the son of the Constable, François de Montmorency. Francis II's reign was dominated by religious crisis. His unpopular and repressive policy toward Protestantism motivated the Amboise conspiracy, in which certain Protestant leaders attempted a coup d'état against the king and the House of Guise. Due to growing discontent, the government tried conciliation. Under the influence of Catherine de' Medici, it started a dialogue with the proponents of this relatively new movement, while remaining implacable towards agitators. Until the end of his reign, the French kingdom was paralysed by local revolts. He reacted by becoming more authoritarian. By many, the Guises were seen as lacking legitimacy. To their adversaries, they were merely ambitious foreigners from Lorraine. Their father Claude, Duke of Guise, was the son of René II, Duke of Lorraine, who had been accorded French citizenship by King Francis I, his military companion. The main criticism against the Guises was that they were taking advantage of the king's youth to wield power arbitrarily. An opposition movement led by the Prince of the Blood Antoine of Navarre, King of Navarre, contested their power. Some theorists, such as François Hotman, believed that the law entitled the latter to be the king's senior adviser since he was a descendant of Louis IX of France and thus an heir to the throne if the House of Valois then in power disappeared. However, Antoine failed to prevail against the Guises when he came to court. The poorly organized conspiracy ended in a bloodbath. Its outcome was determined as early as 15 March when Jacques, Duke of Nemours, arrested some of the primary conspirators. Over the following days disorientated troops, mostly peasants, were arrested one by one in and around the forest of Amboise. The king was at first inclined to leniency. He freed them and ordered them to return to their homes. But on 17 March, two hundred men tried to storm one of the city gates at the foot of the castle. Quickly repelled by the Duke of Guise, these rebels were unmercifully pursued. More than a hundred were executed, some even hanged from the ramparts of the castle. The retaliation continued for several weeks, and almost twelve hundred people died. With the secret support of the two Princes of the Blood, Condé and Navarre, a political-military organization gradually developed. Protestants elected local leaders, raised money, bought weapons, and formed militias. Armed gangs from Languedoc went to Provence and Dauphiné, which Paul de Mouvans and Charles de Montbrun were trying respectively to enlist into the insurrection. The climax came during the night of 4 and 5 September, when Protestant militias tried to take over the city of Lyon. The king's reaction was fierce and determined: he mobilized his troops, sent the army to the rioting areas, and ordered governors to return to their positions. By autumn, order was slowly restored. Convinced that the Prince of Condé was responsible for the uprising, the king summoned him to court and had him arrested on 31 October 1560. When King Henry II died, the restitution of these territories was well under way. Francis II, aware of the kingdom's weaknesses, reassured Spain of its intention to fulfill the treaty just signed. The Maréchal de Brissac, who displayed some unwillingness to evacuate Piedmont, was asked to change his behavior and accelerate the withdrawal. By the autumn of 1559, France had completely left Savoy, and Piedmont, except for the five locations agreed upon in the Peace of Cateau-Cambrésis. If these were returned to the Duke of Savoy Emmanuel Philibert, Montferrat would be returned to Guglielmo Gonzaga, Duke of Mantua. Both were allies of Spain. Finally, Valenza, which Brissac was grumbling about releasing, was to be returned to the Spanish Duchy of Milan. On the Spanish side, King Philip II showed some unwillingness to return four locations in the north-east of the kingdom as required by the treaty. Border disputes renewed tensions between the two nations, but after months of protests Francis II finally obtained these territories. The king and his spouse Mary Stuart, Queen of Scots (painted around 1558). Because of French control over their country, a congregation of Scottish lords organized an uprising and made the regent and her French councils leave the capital, Edinburgh, in May 1559. Having taken refuge at the fortress of Dunbar, Marie of Guise asked France for help. Francis II and Mary Stuart sent troops right away. By the end of 1559, France had regained control of Scotland. The health of the king deteriorated in November 1560. On 16 November he suffered syncope. After only 17 months on the throne, Francis II died on 5 December 1560 in Orléans, Loiret, from an ear condition. Multiple diseases have been suggested, such as mastoiditis, meningitis, or otitis exacerbated into an abscess. Ambroise Paré, the royal surgeon, considered performing a trepanation. Some suspected Protestants of having poisoned the king, a view held by Catholics as the tensions between them and Protestants were on the rise; however, this has not been proven. On 23 December 1560, the body of Francis II was interred in the Saint-Denis by the Prince of La Roche-sur-Yon. ↑ Arlette Jouanna, La France..., pp. 354–357. ↑ Also Négociations, lettres et pièces diverses relatives au règne de François II, tirées du portefeuille de Sébastien de l'Aubespine, éveque de Limoges, Paris Louis, Paris, imprimerie royale, « Collection de documents inédits sur l’histoire de France », 1841, p. 67–68, p. 132–136, p. 243–257, p. 506. ↑ Jacques-Auguste de Thou, Histoire universelle, tome second, La Haye, 1742 p. 742–746.